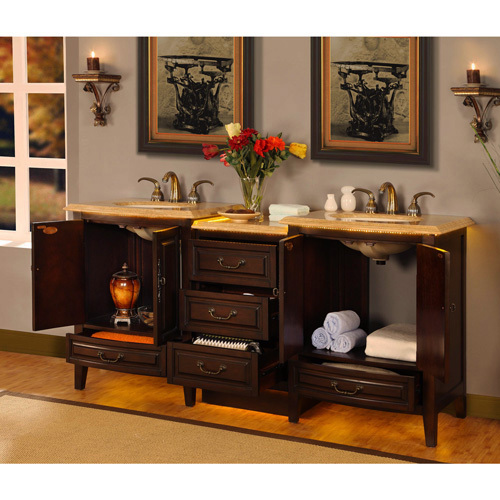 The Rometta Double Vanity offers clean lines and a traditional style that is easy to love. On top of that, underneath its Roman Vein-Cut Travertine counter top is LED lighting. 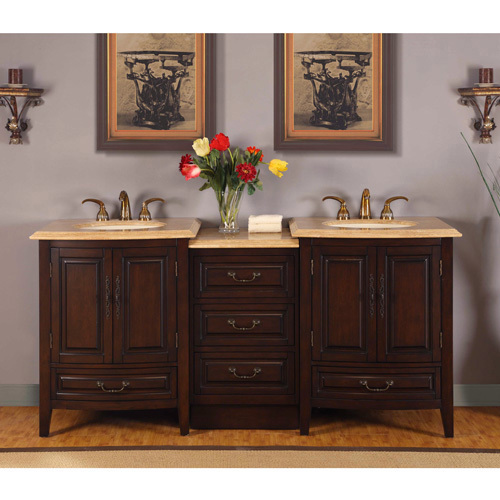 The counter top includes double under mount ivory ceramic sinks and also arrives pre-drilled for faucet installation. Storage is found behind both double door cabinets and inside its five drawers. The central drawer bank features the same finish and counter top. Faucets are sold separately.